Spectacular Spaces--Ellen Kermond Fador---designed our space perfectly; We knew the look we wanted to achieve and Ellen delivered-SPOT ON! Ellen is very conscientious of budget and design and I will hire her again and agin for every project or consultation we need!! “Ellen Fador is thoroughly professional, very imaginative, and extremely helpful for any design project. …….For my own small project (a bedroom and bathroom), she helped produce a stunning result. ……Ellen helped in every way, depending on what was necessary - sketching plans for the tile work in the bathroom, helping me find the right fabric for the bedroom (one entire wall of drapery and a bedcover to match), choosing paint colors (Ellen is a superior aide for this), and even finding the perfect rug. ……Throughout the entire process, Ellen kept my spirits up, and always produced the perfect answer to a problem. “When we were getting ready to sell our home, our realtor introduced us to a great staging consultant - Ellen Fador. Ellen and the realtor were a great team. They walked through our house and discussed what we needed to do the make it sell. Ellen wrote detailed, clear notes that became our to-do list for de-cluttering, re-arranging, and freshening the home for the open house. We keep a tidy house, and all of our friends had said ‘I can’t imagine that you would have to do anything to get ready to sell.’ But we followed Ellen’s advice and loved the result - five offers within 24 hours of the open house! “Our real estate agent, Bill Kuhlman, suggested that we use Ellen Fador as a home staging consultant when we decided to sell our home in Waltham. Frankly, we were skeptical about our chances of selling our house — the market was poor at the time, and the time of year was not ideal. But what Ellen did with our place was fantastic, and extremely effective. From the first showing we received consistent compliments on how our house looked, and within weeks we had a good offer which we accepted. — James Forcier, CFP, Tony Marken, CFP, Ameriprise Financial Inc.
.....”On our first meeting Ellen walked through the house and noted down detailed instructions for what changes were needed. For the most part she was able to use our own furniture and accent pieces, but whenever necessary she would supplement the staging with pieces from her inventory. Ellen was also a great resource for us; on one occasion she managed to bring in a painting crew during the weekend with just a day’s notice and they did a fabulous job. Ellen Fador helped transform our house into a spectacular place. We got an offer within just two weeks on the market! Ellen was very professional while at the same time easy to work with. 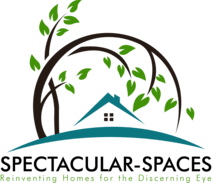 “Ellen Fador of Spectacular-Spaces was a huge resource to me when my family moved. We had to organize quickly to put our home on the market, move, AND we were renovating a farmhouse. Ellen helped to prepare our home for sale by organizing the interior spaces and contacting people to help us when we could not do the work ourselves. Our house sold immediately. After we sold our house, I continued to work with Ellen on the many decisions involved in renovating our farmhouse. This included: determining what furniture would work in the new spaces; adjusting the renovation to ensure that the spaces accommodated our needs; designing certain focal points (e.g., the fireplace and lighting); identifying places to look for certain products; and determining interior and exterior paint colors. Ellen was aware of our taste, furniture colors and artwork. The flow of the colors she helped me chose inside and out is beautiful. Although some of these things may seem obvious, the fact is that our move was very complicated and the renovation involved our entire home. There were constant decisions to be made and it was useful to have someone of Ellen’s skill to talk through these decisions with. I know that I avoided costly mistakes by having her expertise and I am very happy with the outcome of the project due to her input. For example, when choosing the color of our farmhouse, which is yellow, Ellen drove around with me while we identified different yellows that I liked and suggested others to consider. She talked through which would look good in our setting. She then tracked down the exact color name and brand. Yellows are tricky and painting the house the wrong yellow would be, well, glaring and costly! I chose a yellow I initially never would have imagined I would choose, and the color is bold and beautiful. And she did all of this without ever setting foot in my farmhouse!